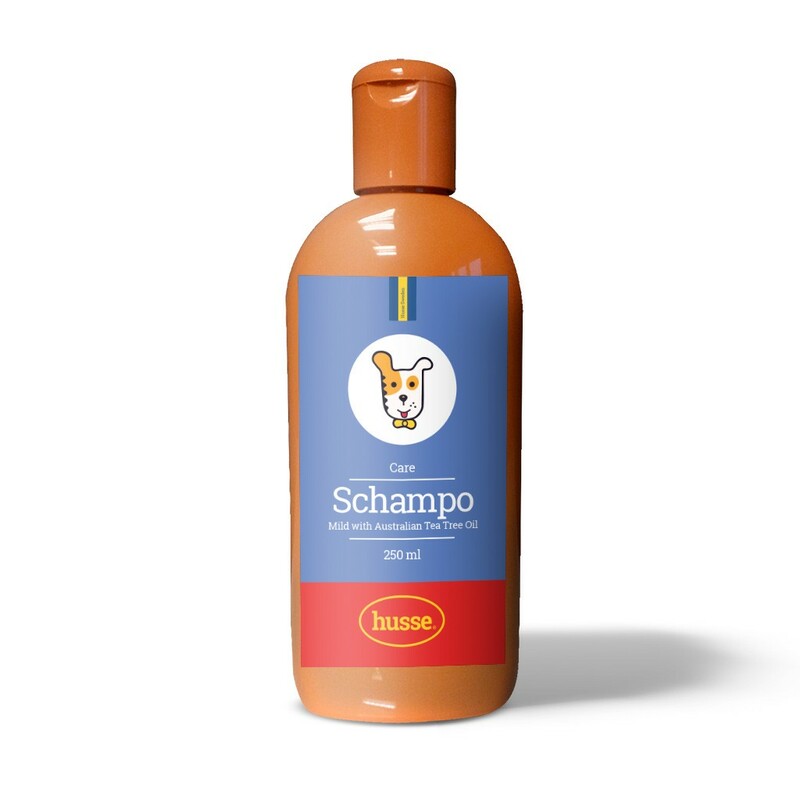 A mild non-irritating pet shampoo that cleanses and soothes the skin. Contains natural ingredients, and a neutral pH to protect sensitive skin. Husse Shampoo is a concentrated formula for occasional use. Mix 20 ml shampoo to 3 litre (handwarm) water. Wet the coat well. Juice the soapsuds from head to nail or apply shampoo from head to tail. Massage well and work up. Leave the shampoo for 5 minutes on the coat. Rinse well with lots of water. Dry the coat thoroughly. Combining the use of Husse Shampoo and other Husse hygiene products with Australian tea tree oil contributes to cleansing of the skin and the beauty of the coat. Water, Sodium Laureth Sulphate, Cocamide DEA, Glycerin, Cocamidopropyl Betain, Propylene Glycol, Melaleuca, Perfume, Gur Hydroxypropyltrimonium Chloride, Chloride Sodium, Citric Acid, Globulus Eucalyptus, Rosmarinus Officinalis, Lavendula Angustifolia, Diazolidinyl Urea, Methylparaben, Propylparaben, Tetrasodium EDTA.